Being a sociolinguist means that I’m interested in the multiple ways in which language interacts with social phenomena. I’m especially interested in the relationship between language variation and identity (particularly social class). 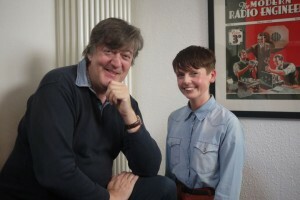 I spoke to Stephen Fry about whether we still judge each other by the way we speak for his Radio 4 programme Fry’s English Delight. You can listen to an extended version of the interview here. In addition to language variation and social class, my other academic interests include regional/social dialectology, language and gender, linguistic ethnography, language ideologies, classroom discourse, dialogic pedagogy and teacher professional development. 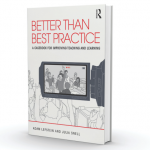 My book (written with Adam Lefstein), Better than Best Practice: Developing Teaching and Learning through Dialogue offers a new way of thinking about classroom practice, professional development, and improving teaching and learning. For more information see: dialogicpedagogy.com. Reviews of the book can be found here. 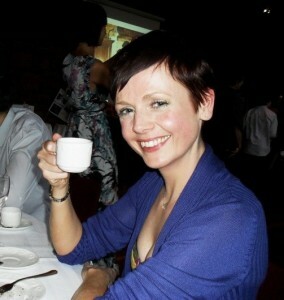 I joined the School of English at Leeds in February 2014 after three years as a Lecturer at King’s College London (2011-2014) and just over two years as a Research Officer at the Institute of Education, University of London (2008-2011). In 2011, I also spent one semester as Guest Professor in the Department of English Studies, University of Ghent. I maintain contact with the Centre for Language, Discourse and Communication at King’s, where I teach on the annual summer school in ‘Key Concepts and Methods in Ethnography, Language and Communication’. I’m an active member of the Linguistic Ethnography community and served on the co-ordinating committee for the Linguistic Ethnography forum (a Special Interest Group of the British Association of Applied Linguistics) between 2011 and 2015. In 2008 I co-founded (with Fiona Copland & Sara Shaw) the inter-disciplinary conference ‘Explorations in Ethnography, Language & Communication’. We organised the conference for three years (2008-2010), and it has now been incorporated as the biennial meeting for LEF. Fiona, Sara and I edited the first major collection of linguistic ethnographic work, Linguistic Ethnography: Interdisciplinary Explorations.